Here’s another quick summer snack idea. 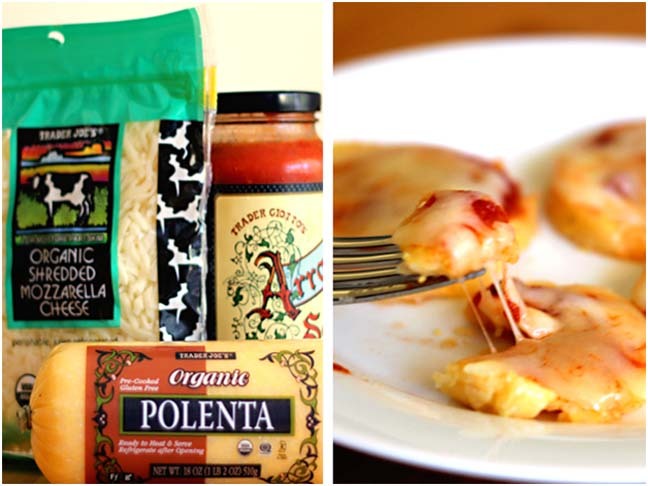 Polenta pizzas take less than 3 minutes to make. Plus, the ingredients are so simple and kid-friendly, they will quickly become one of your go-to snacks. 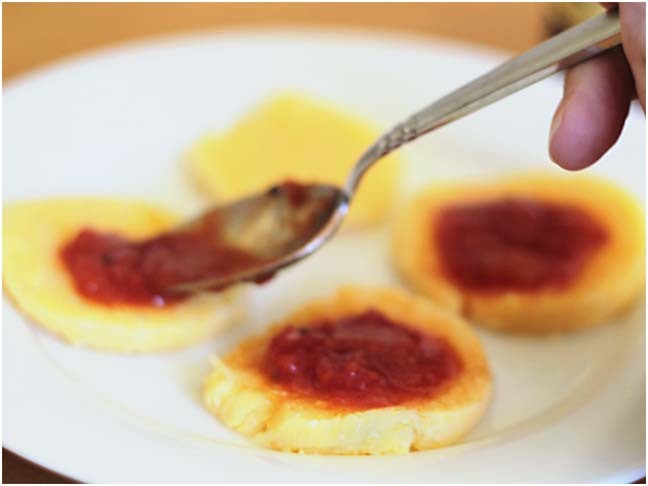 Step 1 – Prepare the polenta crusts. 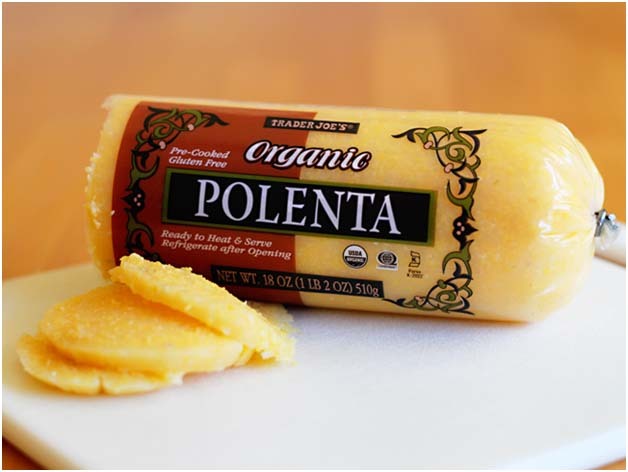 Look for pre-cooked polenta in a tube at the grocery store. All it takes is a few slices off the end to get started. Step 2 – Add your favorite tomato sauce. We like things spicy in my family so we go with an arribiata sauce. 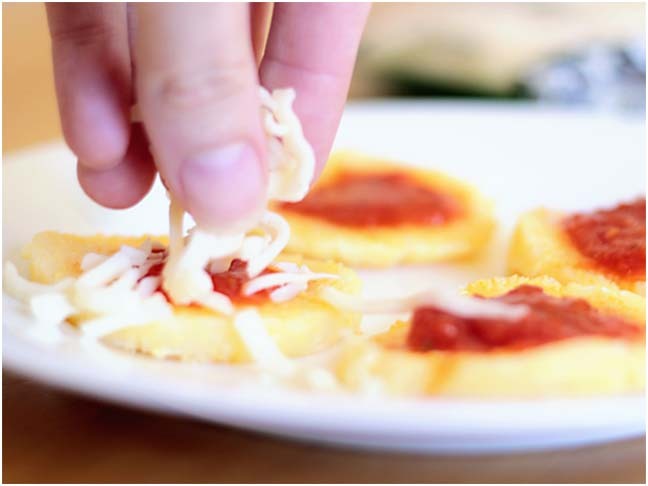 Step 3 – Sprinkle some shredded mozzerella cheese on top. Don’t be shy with additional toppings too, this can be a clever place to sneak in some veggies! That’s it for the prep work. 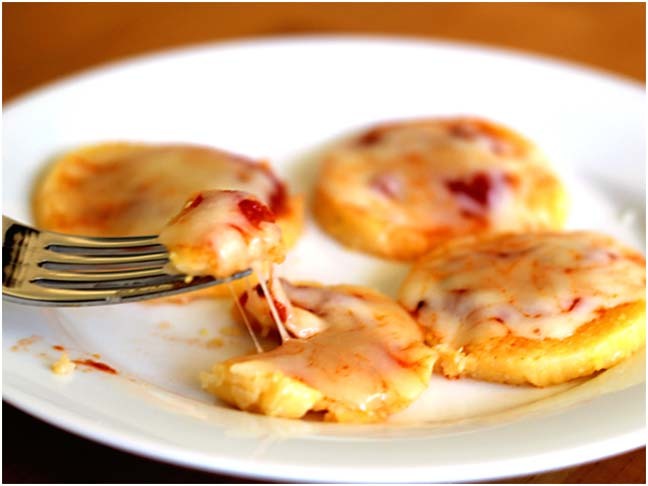 Simply pop them in the microwave for about 45 seconds and pizza is served. These are so quick and easy that we make them for snack time as well as lunch time. Enjoy!